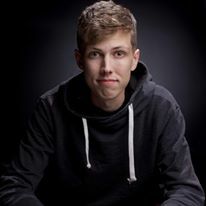 Cam Bertrand gained recognition by advancing to the Semi-Finals of 2015's Florida's Funniest competition, he won the 2015 Side Splitters Comedy Tournament over 64 other comedians, he has performed at the 2016 & 2017 Laughing Skull Comedy Festival in Atlanta, and won Creative Loafings 2016 'Best of The Bay' Award for 'Best Male Comedian'. Cam shares his outlook on relationships and life through the eyes of a 23 year old in a way that everyone can relate to. Bringing a high energy and witty style that appeals to a wide demographic. He's worked with some of the biggest names in comedy today including Pete Davidson, Michael Che, Josh Blue, Joe Machi, Alonzo Bodden, and Mark Normand.